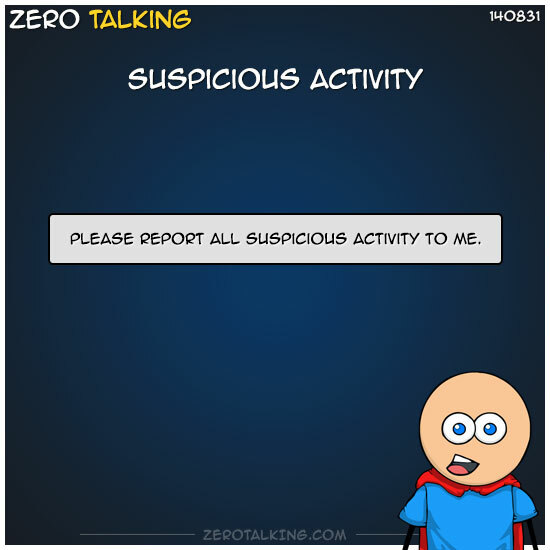 Please report all suspicious activity to me. Re: my request for you to report all suspicious activity to me. The lack of suspicious activity reports I have received since posting my request 10 minutes ago makes me suspicious. Therefore, it is in your own best interest to report something suspicious, otherwise I will consider that suspicious. Which is unfortunate, because before I posted my request for suspicious activity reports, I wasn’t suspicious at all. But now I think some of you are hiding something. And that’s suspicious. Zero: Why? Does your cat think your rotisserie chicken committed a crime? Carrie: Yes, Kiera the cat thinks it’s a crime that the chicken was not in her food bowl. I don’t want to name any names here, but there is this one person — whose name starts with a letter in the alphabet — who hasn’t responded to my request 30 minutes ago to report suspicious activity to me. And that is making me really, really suspicious of them. Like, if I saw them in a police line up, I would totally think that they look suspicious. But I’d still properly identify the real culprit. Because I have ethics. But still. I’d look at them suspiciously. Like for a long time. To make them know that I thought they looked suspicious. Raven: It’s even more suspicious that they would be able to see you looking at them suspiciously through one-way mirrors. Zero: THAT IS SUSPICIOUS! What kind of place is this suspicious place that I imagined!? Maybe they have super powers? I am very suspicious of people who are very suspicious of people. 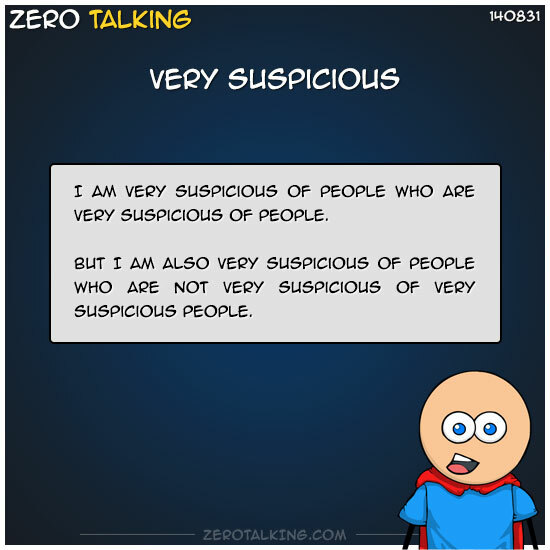 But I am also very suspicious of people who are not very suspicious of very suspicious people.